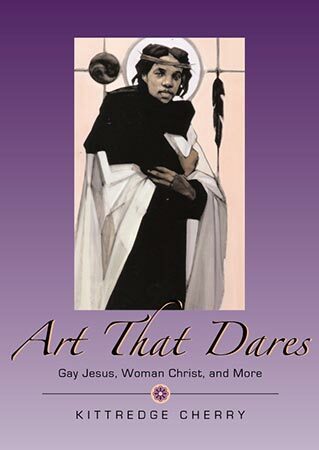 Kittredge Cherry's eye-opening book, Art That Dares: Gay Jesus, Woman Christ, and More can be breathtaking, depending on how attached you are to your Christian orthodoxy. But an important function of art in society is to open our minds and help us see how rigid we can be in our perceptions. Art That Dares was published in 2007, but the content still has the jolt of the revolutionary to it and bares reexamination. 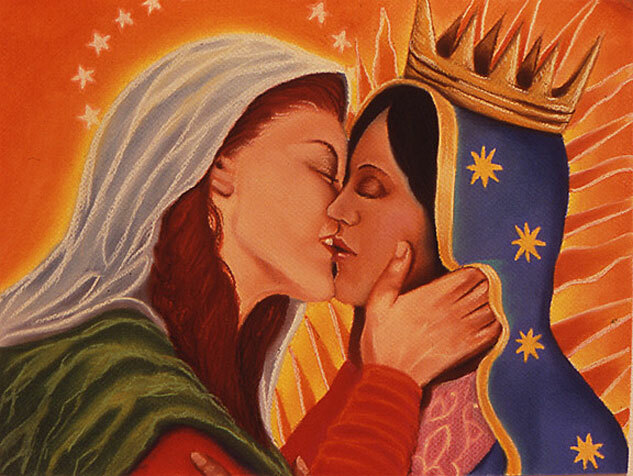 While respectful of the originals, the art by a diverse group of 11 contemporary artists recasts the stories of Christian teachings. 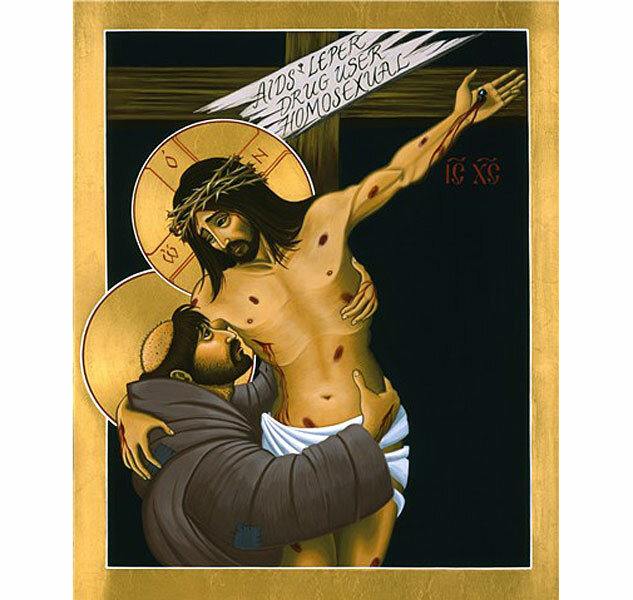 Thanks to Cherry and her great blog JesusInLove.org for helping to produce this gallery of some of the mind-expanding work here. Link through for more info on the book and other links to Cherry's blog. Links to the artists's work, if available, are with the individual pieces on the following pages.